Let me just begin by saying that the Beauty Blender is a great product. It’s soft and really applies the makeup beautifully BUT as of late my last two Beauty Blenders have been the absolute worst! Let me explain why. I’ve bought Beauty Blenders before but none have disappointed me this much than the last two that I have boughten. The Beauty Blenders have for one soaked up my product way too much. I understand it’s a sponge and it will trap makeup within it but I had never experienced it like this before. This sponge soaked up my makeup so much that by the end of the day when I was getting ready to wash it the sponge had soaked up so much makeup and hardened the product that the make up wouldn’t come out. When I finally did wash it out there was a very noticeable stain, I ended up tossing it out and going to get a new one. Mind you the Beauty Blender I just mentioned that I threw away was about 3 weeks old, so no one can say that I just had it for too long. I went to Sephora, explained to the woman, who was helping me, what was going on with the product and she recommended the Beauty Blender cleanser that was specifically designed for the Beauty Blender itself. I went ahead and spent about $40 (USD) on a new Beauty Blender and a cleanser, this was a christmas set, so I the pricing may be off now. I decided that I would not let this Beauty Blender go to waste and I began washing that baby RELIGIOUSLY! A week with the new Beauty Blender I began seeing the makeup build up, I figured I wasn’t washing it well enough, but nope. Two weeks in, the round bottom part of the sponge was hard again like the previous one and the stain was there as well. I decided that I was not going to throw away this Beauty Blender away because I didn’t want to basically throw my money away. I ended up using some scissors on the bottom part of the Beauty Blender and cut the parts that were hard because no matter how much or how hard I tried to wash out the make up it wouldn’t give. 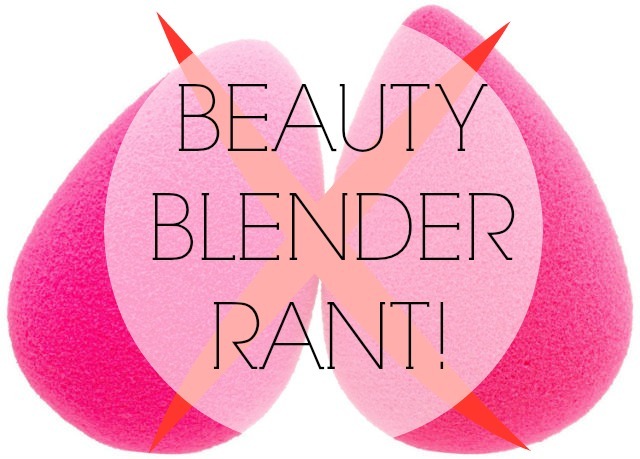 Right now I’m using a cut up Beauty Blender and to be honest once I’m done using it and “getting” my moneys worth I will go ahead and hunt down a dupe or a sponge that will do just about the same. The reason I say “getting” in quotations is because if I was getting my moneys worth, the sponge would not be cut up at the moment. I don’t know if any of my followers are experiencing similar things with their Beauty Blenders. I know my friends are going through something similar with theirs, so I know i’m not alone. Let me know down below if you have any suggestions on what sponge I should buy next.